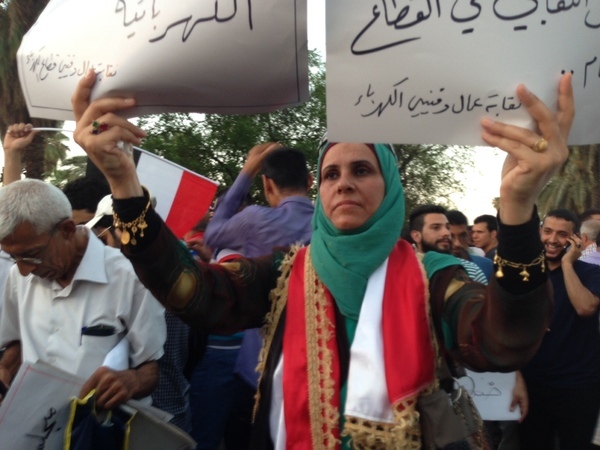 Parliamentarians promises to meet today & pass reform measures quickly, but many #Iraqi activists promise to continue demonstrating against corruption. 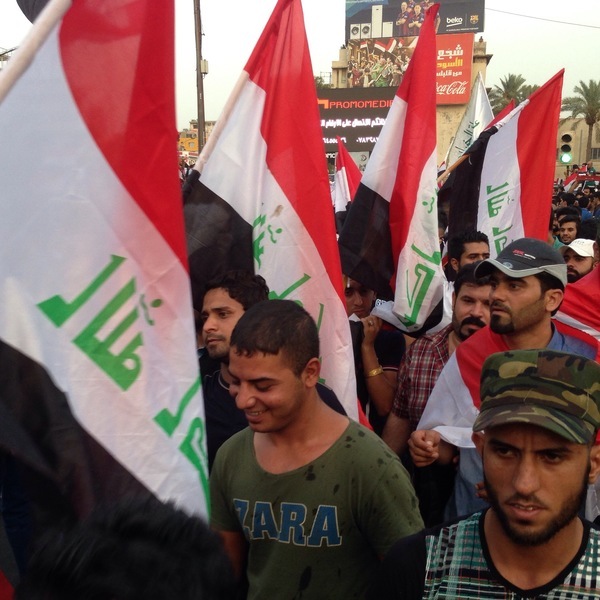 Here, a pic from last Friday's protest in #Baghdad, which we covered for Al Jazeera English. 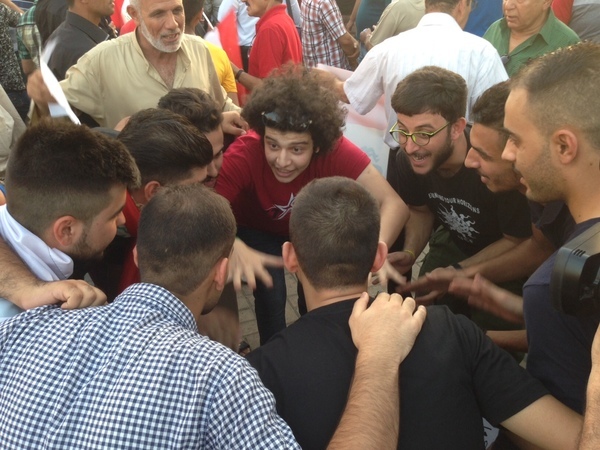 Throngs of enthusiastic Iraqi youth activists gathered in Baghdad's Tahrir Square on Friday to protest against government corruption. Here, one cheerful group huddles before they begin chanting.